After months of talent teaser vignettes and shout-outs to Head Trainer Chilly Willy from international pro wrestling stars, brand-new pro wrestling startup Art of War Wrestling (AOWW) will be joining the Philippine Wrestling Revolution (PWR) and Manila Wrestling Federation (MWF) as the third active promotion in the country by finally announcing its official debut show date and venue. 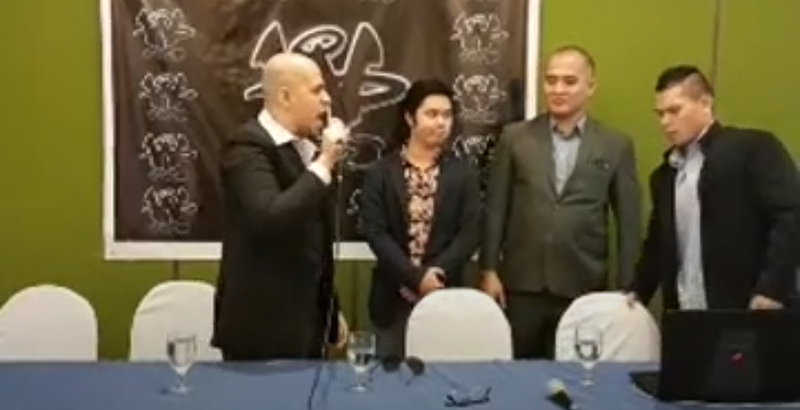 In a press conference held at the posh Alabang Country Club, AOWW CEO Brian Finigan made the company's intentions concrete with AOWW Genesis set to happen on March 17, Saturday, at the exclusive Valkyrie Nightclub in Uptown Bonifacio, Taguig. The company certainly has a lot of swagger behind it. "What we're gonna do is change the face of Philippine wrestling," Finigan said in his opening statement to the crowd in assembly. "No other wrestling organization in the Philippines or in Southeast Asia will be able to do or be on par with what Art of War Wrestling is about." 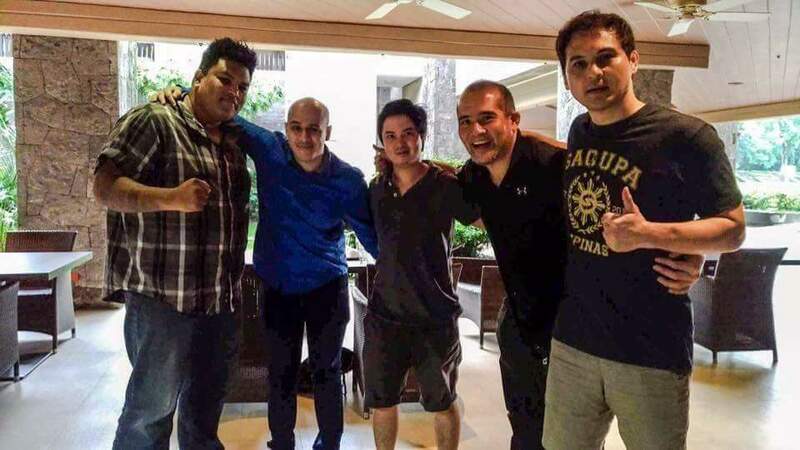 "We're gonna make this really authentic," claimed former URCC Heavyweight Champion Vicente Pajaro, who's involved with the company as one of its directors. "We have former ECW Superstar Chilly Willy. We're gonna make sure all the moves are real ... plus unlike the other organizations [in the Philippines], we have the endorsement of WWE Superstars like Kurt Angle and Rhyno. Basically, we will give high-quality entertainment." "Each one of [our] superstars has put their blood, sweat, tears, and time into training," added Finigan, "to make sure Art of War Wrestling gives you something that's never been seen before. We combine wrestling with the fiercest and most ferocious mixed martial arts moves we know." If this is what Art of War means by its promises to bring "Hard Style" to Filipino wrestling, then we're all for it. Its maiden card will be headlined by former two-time Filipino wrestling champion "Classical" Bryan Leo going up against the chiseled, explosive Nuke. Other names will be in action as well in the following matches, as per Rappler. Tempers flared at the press conference, as Leo and Nuke got into a shoving match on-stage. 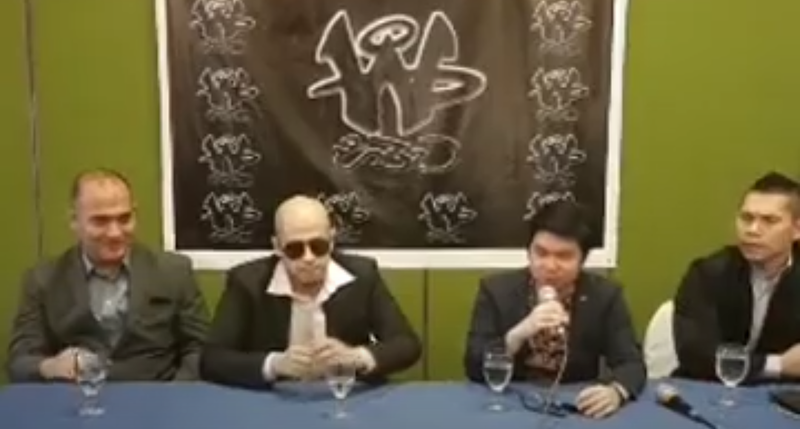 Chilly Willy also addressed the crowd, thanking AOWW for inviting him to the Philippines to train what he called "some of the finest wrestlers the Philippines has to offer." "Make no mistake about it," he beamed, "these guys, these girls, this crew—they're ready for the Philippines." He also took the opportunity to address the friendly mudslinging going on with the two other existing pro wrestling promotions in the country. "These other organizations come out and try to throw shade at AOWW—we are a young company, we're like young lions, and yes, you should fear us. You should fear AOWW because we are real, we are legit." "Some of these other companies had WWE come down," he continued, alluding to last year's Southeast Asia scouting trip by the WWE. "But they didn't pick not one person [to go down to the WWE Performance Center] and that shows you all got a lot of work to do." And as for "Classical" Bryan Leo, easily the most controversial star in Philippine wrestling history? He had perhaps the most loaded words to say. "I am Philippine pro wrestling," he bellowed to the audience. "I carried modern day Filipino pro wrestling on my back since I started training. I built modern day Philippine wrestling. And there is nobody on this Earth who can stop me from doing what I love doing." If those aren't fighting words, we don't know what are. What are your thoughts about Art of War's loaded announcements, mga ka-smarkada? Are you excited to see what they've got to offer? Let us know your thoughts, and we'll see you at the show! Disclosure: Smark Henry is independently run and managed by local pro wrestling fans and enthusiasts, but includes members affiliated with the Philippine Wrestling Revolution. AOWW Genesis is happening on Saturday, March 17, at Valkyrie at The Palace in Uptown Bonifacio, Taguig. Gates open at 5 PM. Photos by Art of War Wrestling and Dale Vincent Kakilala.